The No. 1 Trojans won their 16th straight game with a 5-4 victory over No. 2 Stanford. Denise Mammolito’s hat trick sealed No. 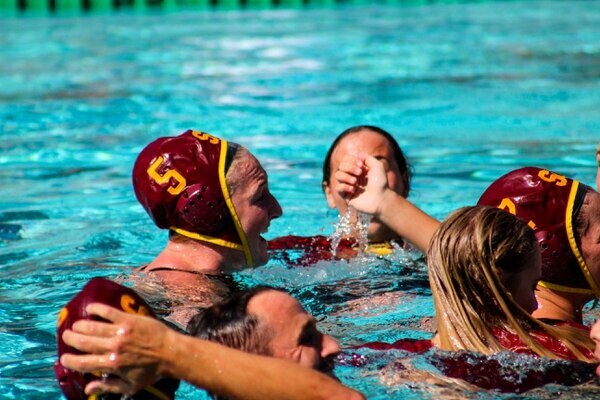 1 USC women’s water polo’s sixth national title in a 5-4 win over No. 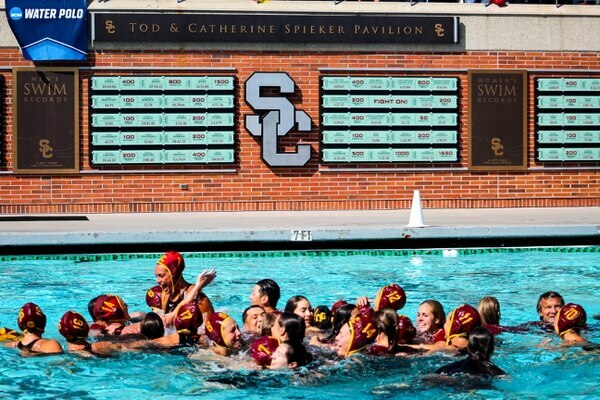 2 Stanford—the Women of Troy’s second title in two years. The sophomore driver scored the game-winner with just under two minutes left to play following a pass from Kelsey McIntosh off of a steal from freshman Paige Hauschild. 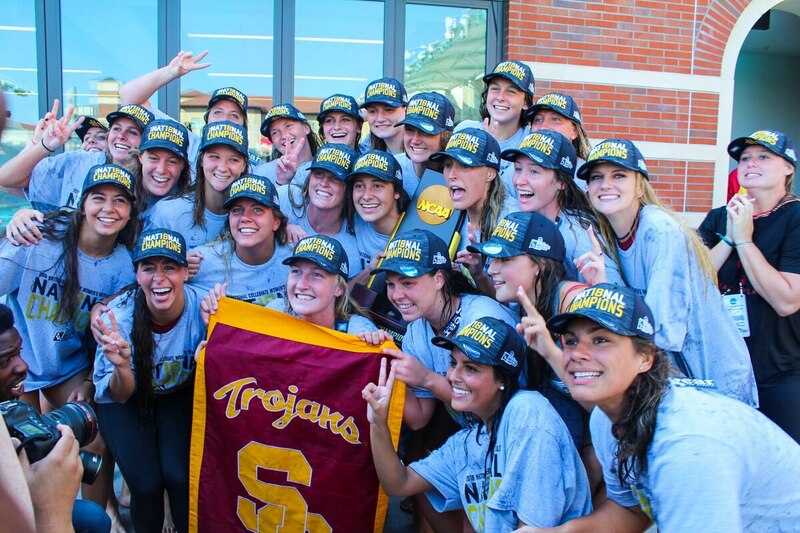 The Women of Troy’s 16th straight win this season snagged USC’s 105th NCAA title as a school. As a sophomore, Mammolito is younger than the rest of her teammates sitting in the press conference after the game. When asked to describe how it felt to have led her team to the title with a hat trick, she smiled and paused just a second before answering. Right before Hauschild dished the ball forward to set up the breakaway for Mammolito’s go-ahead goal, head coach Jovan Vavic was about to call a timeout. From the start, it was obvious that the game would come down to the final couple of possessions. The Trojans and the Cardinal traded possessions and shots throughout the first period. Stanford’s Jordan Raney sent one in the net, about halfway through the second period, for the first goal of the game. 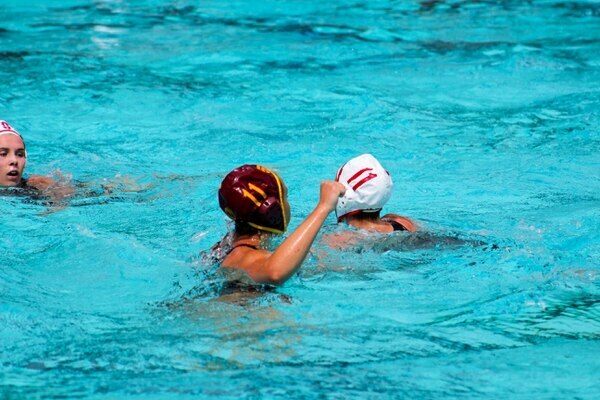 About three minutes later, senior utility Brianna Daboub was the first to score for the Trojans. After another Stanford goal, Mammolito tied it once again early on in the third period, her first of the game. Neither team could really get a leg up on the other. Each time the Cardinal scored, the Women of Troy would tie it right back up. With just two seconds to go in the third, Hauschild evened the score once more. 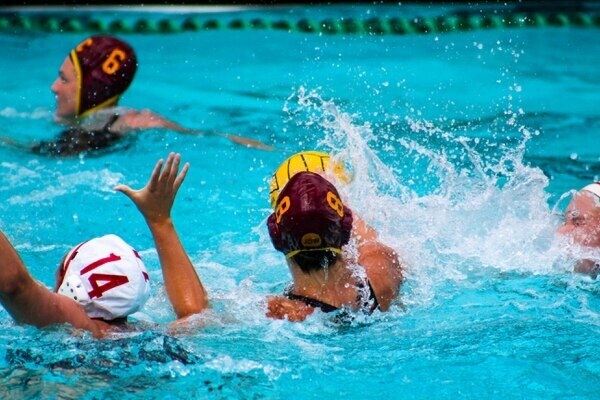 Mammolito’s second goal of the game, early in the fourth, gave USC its first lead, but that didn’t last too long. A couple of minutes later, Stanford tied it again. About four minutes later, Hauschild got the steal, which eventually led to Mammolito’s game-winner to secure her hat trick and the title for the Women of Troy. 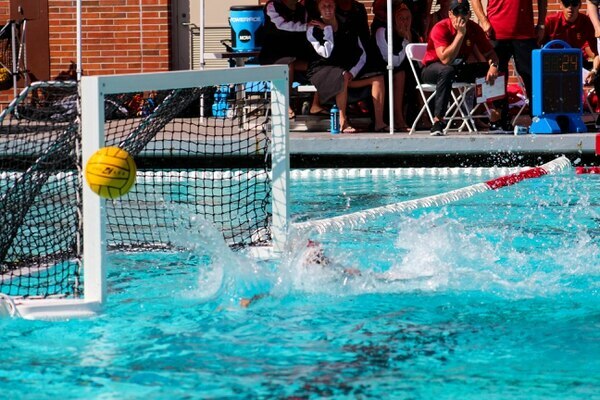 Junior goalie Amanda Longan put up her second consecutive 10-save game against Stanford, making her No. 3 all-time in career saves (580) at USC. 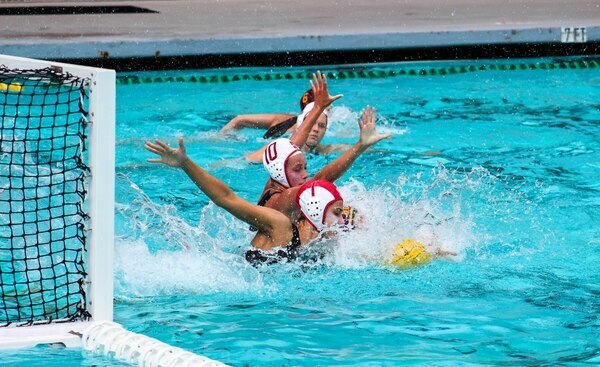 This year, she was also named the MPSF Player of the Year for her dependability in the cage. In a game that was battled out at the net, Longan came through for her teammates and the national title. 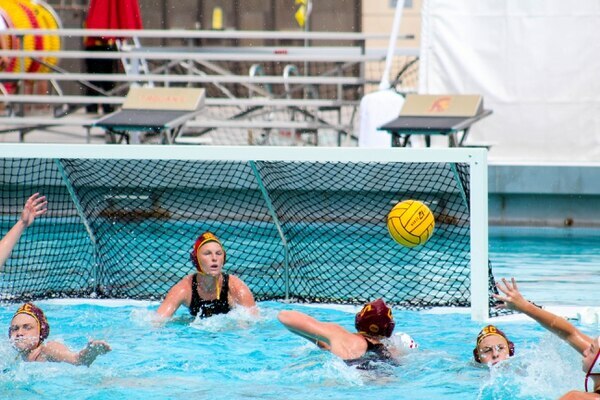 It was her final save of the game that solidified USC’s victory. Longan was named the Most Valuable Player of the NCAA Tournament. Four USC players—Mammolito, Hauschild, Daboub, Longan—made up the seven-person All-Tournament First Team. Sophomore utility Maud Megens was named to the All-Tournament Second-Team. Hauschild has gotten plenty of attention for her immediate impact on the team this season. She was the MPSF Newcomer of the Year and picked up the weekly award by the same name seven times, tying the all-time MPSF record. 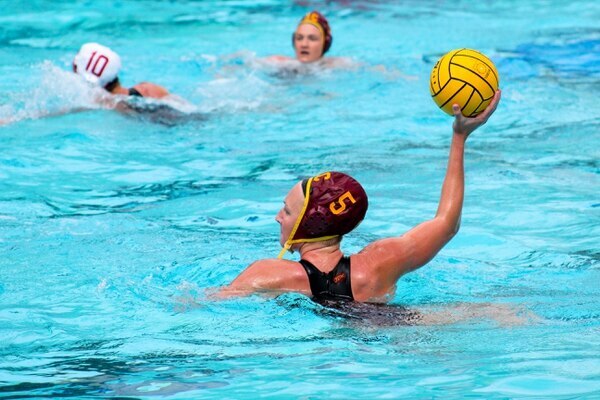 With 68 goals on the season, she’s scored the most goals ever by a USC true freshman. While only scoring one goal against the Cardinal, she made herself vital on defense with four steals—mainly the one that led to Mammolito’s game-winner. She also went four-for-four on opening sprints. While Hauschild and Mammolito represent the youth on the team, the upperclassmen represent a competitive legacy that the program has had during their time in the Cardinal and Gold. The juniors and seniors on the team knew what it would take to win a national championship having gone undefeated en route to the national title in 2016. This season, winning a national title at home was the best way to send the seniors off. For Daboub, winning this particular title has been on her mind since her freshman year. This was the fourth time this season that the Trojans and the Cardinal faced off. In their first meeting, Stanford came away with the win. 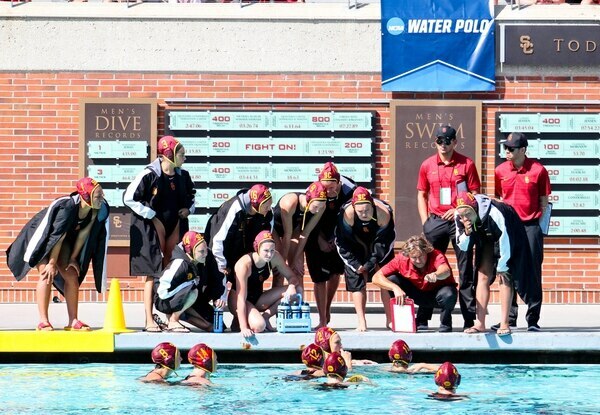 USC would then take the next two, notably, a 13-12 overtime win in the MPSF Tournament Championship. But in NCAA play, everything from the past is off the table. For the players, getting the NCAA rematch against Stanford was great motivation. 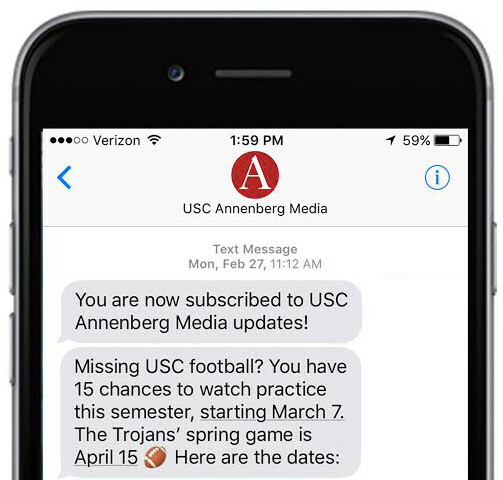 Regardless of the sport, a game between USC and Stanford is always set to be competitive. The two schools continually face off in conference play—the Pac-12 and MPSF—and on the national stage as well. 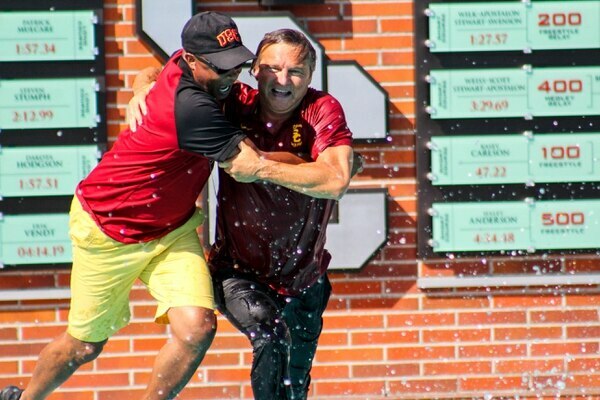 Winning national titles is nothing new for 2018 MPSF Coach of the Year Jovan Vavic. 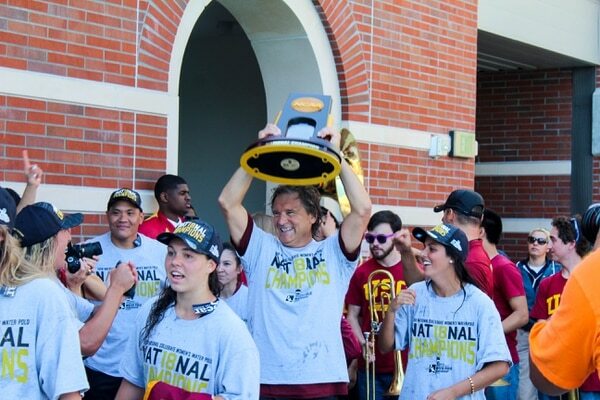 He’s led teams to 15 national titles, six by the women and nine by the men, while at USC. 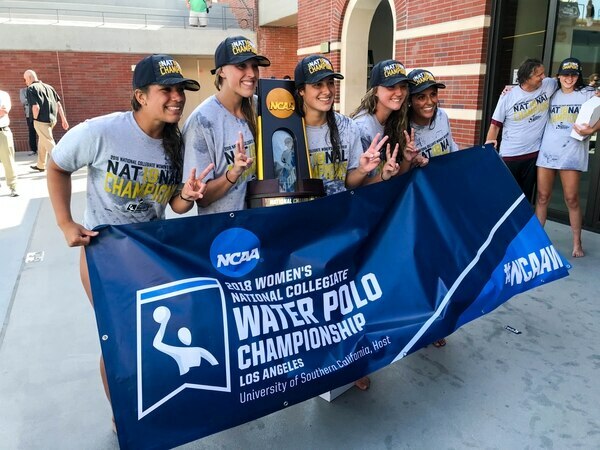 Vavic has been with the women’s water polo program since its inception in 1995 but this year’s team had a personality all of its own. The Women of Troy graduates eight seniors at the conclusion of their 26-1 national championship season, but the players who remain have the competitive spirit to be just as successful under Vavic next season.